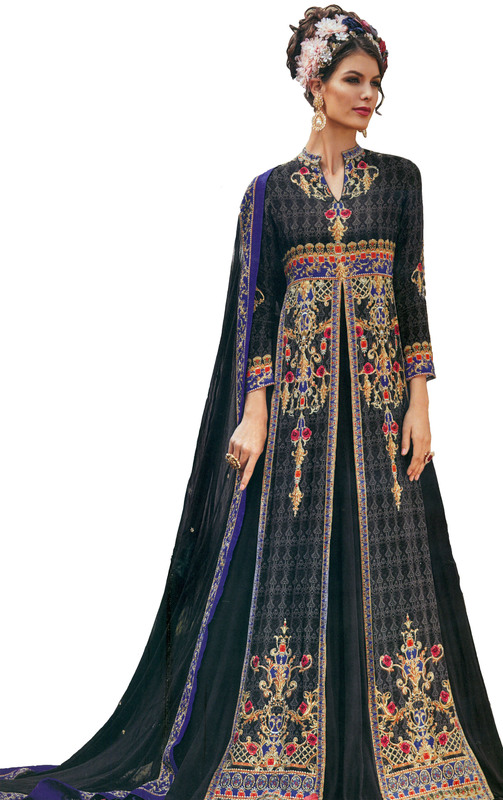 The Indian Anarkali suit is the equivalent of the western floor-length gown. This slate-grey suit flows down your stature with a grace that is bound to turn heads at the most fashionable of parties. The subtly coloured florals and foliage, luxuriantly printed along the hem and the back and bust, constitute an unmistakably Mughal motif, while the crystals on this dress will make the whole of you glitter.